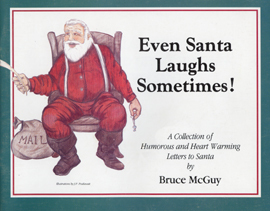 Over the years, Bruce McGuy has written multiple Christmas books from letters he has received while playing Santa Claus. Every year he would receive hundreds of letters from children who were going through good and difficult times. 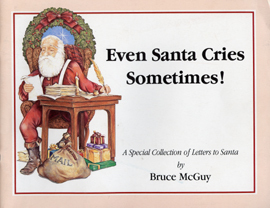 Bruce wrote every child back and has kept copies of each child’s letter along with his response and decided to create Even Santa Cries Sometimes! In doing so he used the money he earned from selling his books to purchase presents that the children asked for. 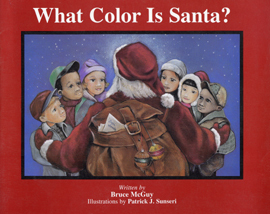 Bruce used all the additional funds to making children’s Christmas dreams come true all over the United States; even for children who had not written to him. So please enjoy, laugh, cry, and share these books with your friends, family, neighbors, co-workers, etc. 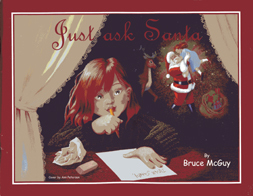 and feel what Bruce has felt over the years of playing Santa.